I read this article and found it very interesting, thought it might be something for you. The article is called Let’s Get Digital: Considering the Internet’s Effect on Contemporary Art and is located at https://www.totallydublin.ie/arts-culture/arts-culture-features/lets-get-digital-considering-the-internets-effect-on-contemporary-art/. “The simultaneous contemplation of paintings by a large public, such as developed in the nineteenth century, is an early symptom of the crisis of painting,” Walter Benjamin espoused, back in 1936. “A crisis which was by no means occasioned exclusively by photography, but rather in a relatively independent manner by the appeal of art works to the masses.” The creation of mass-audiences in the hundred years prior to the time of his writing, Benjamin argued, meant that mechanically-produced prints and photography were far better suited to the needs of the modern age than paintings. And if prints and photography have more power to reach the masses than painting, then net art even further exceeds this capability. Elusive of spatial restrictions, art that is exhibited online has the potential power to reach a greater number of people, much faster and easier, than art that is exhibited in a gallery. It becomes a global experience, accessible to anyone with access to a computer and internet connection. Online exhibitions are becoming more prevalent in the art world. Once the domain of a straggle of outsider artists and tech geeks, operating well outside the network of white cubes and royal academies that define what it means to be ‘art’, net art is increasingly becoming accepted and embraced by contemporary art institutions. Institutions that, really, they have the potential to pose a substantial threat to. The Italian Futurists, with their championing of speed, light, and new technology (and also, unfortunately, fascism and misogyny, but we’ll cast that aside for now), suggested that there was more than a phonetic connection between the words ‘museum’ and ‘mausoleum’ almost a hundred years before online exhibition formats were to emerge: “Italy has been too long the great second-hand market. We want to get rid of the innumerable museums which cover it with innumerable cemeteries…. Heap up the fire to the shelves of the libraries! Divert the canals to flood the cellars of the museums! Let the glorious canvases swim ashore!” exclaimed their terrifying yet enigmatic leader Filippo Tommaso Marinetti in his 1909 Futurist Manifesto. I’m not sure many net artists would advocate chucking the Mona Lisa into the muddy banks of the Seine, but the tendency of museums and galleries to render their contents impenetrable relics persists: most of art history remains detached from the real world; hanging desolately behind glass, untouched and unengaged with, on a blank wall. Even more of it remains in storage, hidden away in a carefully-organised archival system. Permanent collections are essentially just time-warps. Advocates of net art believe it has the power to emancipate creative expression from this mausoleum-like domain, by creating an open platform that is engaging and accessible. 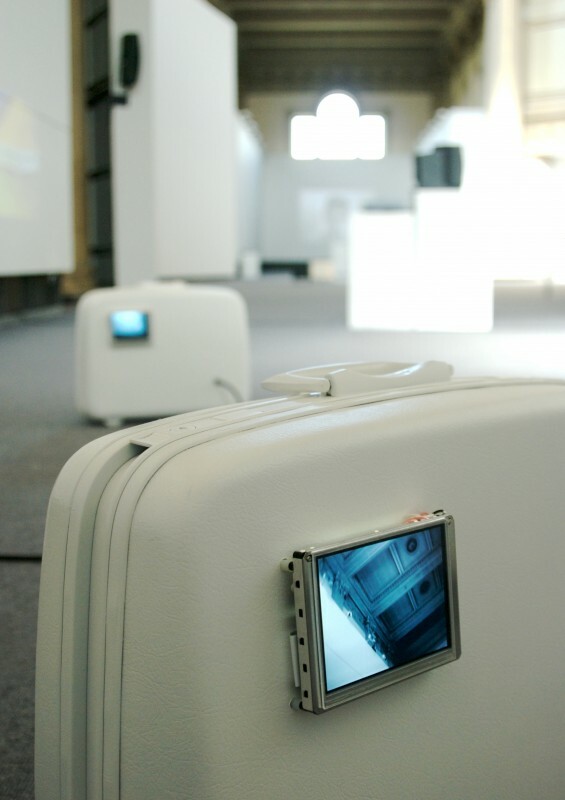 Whether that means it will ever pose an absolute threat to the conventional gallery is debatable: Leah Hilliard, course co-ordinator of NCAD’s MA Art in the Digital World, argues that despite the benefits of the online exhibition format, it will never surpass the experience of visiting a non-virtual gallery space. The ritual of going to gallery, and the act of pilgrimage we make to experience art, is a powerful experience, and one that it would be difficult for on-screen exhibitions viewed at home to challenge (at least with current technology). Some online exhibitions mimic the experience of walking through a virtual white cube space, hinting towards a sort of yearning for the physicality of the experience it is reproducing. 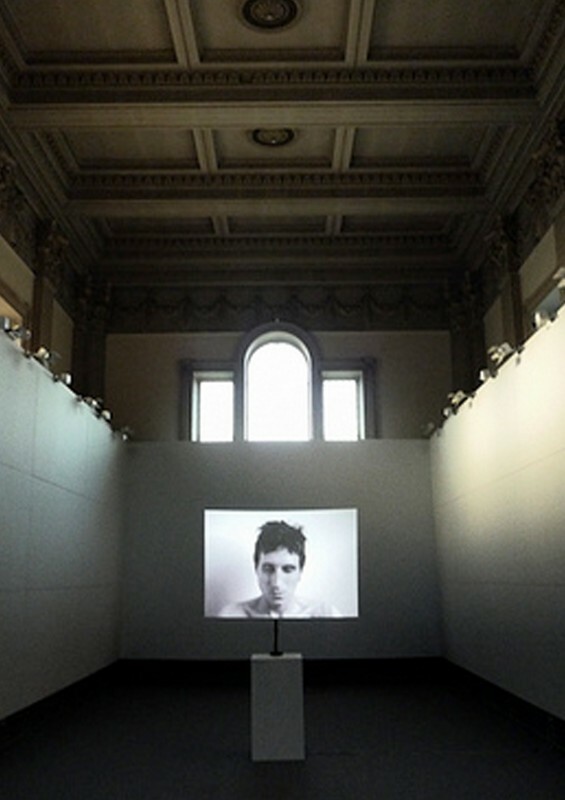 Often, online exhibitions are organised to run in tandem to regular ones (the Liverpool Biennale being notable purveyors of this format). It remains subservient – an additional experience to be added to the ‘main’ one; a mechanical reproduction of the authentic. In the Antonellis show, O Murchu attempts to simulate the virtual experience, in a weird conundrum of real-imitating-digital-imitating-real. One room is designed to feel as if you are walking into a GIF, as if technology has Frankensteinishly taken on a life of its own. Likewise, at Tweak, the emphasis was on interactivity – works that directly engaged with visitors, with workshops running in conjunction, heightening the sense of DIY. With no object, it is the ‘process’ and the ‘experience’ that are forwarded. Process-based art is, of course, nothing new. The Fluxus movement pioneered the concept back in the sixties – and it’s arguable that it’s within Fluxus that the roots of digital art can be found, particularly in the oeuvre of Nam June Paik, with his buzzing, flickering television screens and alluring neon glow. But digital art’s lack of materiality causes problems outside of aesthetics: often having no physical object to be bought and sold, it can be tricky to transform into a commodity that generates financial income. There are ways around this: buying and selling domain names, and making tote bags or t-shirts of works are two solutions I’ve encountered. Part of the challenge for emerging digital artists is in pioneering a way to earn money from their often-laborious (at least in terms of time-expenditure) practice. But the answer might not be to find ways of working within the current system of exchange. Perhaps the conventional system of art objects being produced for a market of patrons, institutions and collectors is outdated, and the whole industry needs to radically re-assess the way art is consumed if it is to survive and grow with these emerging immaterial formats. One option would be to sell the ‘experience’ of art – in the same way that audiences pay for the experience of going to a gig, or to the cinema. However, as the unwelcoming reaction to paid-in shows like Dublin Contemporary have revealed, it will take some time before the public will be prepared to part with their cash to see visual art in the same way they might do for film or music. A lot of digital art also goes hand-in-hand with the anarchic idealism of open source culture and hacking. Perhaps this online-driven community hints towards an oncoming age in which currency, at least as we know it, does not exist. The implications of this are wide-reaching, and impossible to predict exactly. But it’s exciting to think that digital art could potentially play an instrumental role in the restructuring of societal exchange. One question I asked everyone I spoke to when researching this article, is whether digital art is a post-modern movement. It seemed to me, with its dissolution of the self (many net artists opting for anonymity and pseudonyms), polyphonic nature, penchant for appropriation, irony, and fetishisation of low culture, kitsch and trashiness, a lot of digital art is the epitome of the post-modern. Yet, both digital art curator Nora O Murchu and NCAD lecturer Leah Hilliard hesitated before giving a definitive ‘no’. “It more of a technological thing than an arty thing,” explains Nora. Having grown and evolved largely independently of galleries and academia, she feels it would be misleading to tie net art in with academic concepts like post-modernism. Besides, the kind of ironically-trashy aesthetic that has come to typify much of net art is not all-pervasive. Any art which is created for, and exhibited on, the internet is ‘net art’ – it needn’t necessarily share any one aesthetic or stylistic trait, and it often doesn’t. Though there are overriding trends and themes, the practice is diverse and wide-ranging, with many different strands. 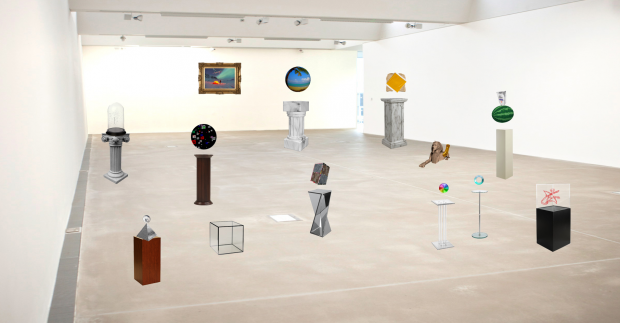 With this amount of diversity, it seems inappropriate to put any defining label on net art, other than the one it bears, revealing little other than its medium: just as not all sculpture is classical, and not all painting modernist. These different strands of net art tend to be linked through a highly engaged, yet geographically diverse, tight-knit online community. “Everyone seems to be aware of each other”, Nora tells me. This awareness is less the case in Ireland – perhaps due to the lack of discussion and press attention that digital art in Ireland receives. Before organising her first ‘Speedshow’ (that is, an exhibition of GIFs, usually in an internet cafe) in Galway, even Nora herself was unaware of the amount of net artists working away in Ireland. The event turned out to be such a success that a second edition was held in Dublin. So can digital art transform the contemporary art world for good? One major problem with it, is that it seems likely it will age badly. There is the problem of technology’s tendency to become rapidly outdated, meaning much digital art will be very hard to recreate some years down the line. But even outside of this practical concern, a lot of net art is very dependent on an incredibly time-specific set of cultural codes, references and in-jokes. Often it plays around with the idea of outdated technologies – recycling Web 1.0 practices like ASCII, or using highly pixelated graphics, in a tongue-in-cheek way. In sync with the hyper-accelerated nature of internet culture in general, trends in internet art can come and go quickly and, as the semiotic structures which make many of these artworks interesting evolve, they may cease to bear meaning or relevance. Of course, not every net artist makes art driven by short-lived trends: many are working in styles with more longevity. But it’s hard to say how culturally relevant even these will remain. Richard Serra’s ‘Television Delivers People’, one of the seminal works of New Media Art, produced in 1973, feels – to me – quite irrelevant now: most people I know under the age of 30 don’t own a television of their own. Serra’s piece is still interesting from an art historical point of view, and when studied in context, but it no longer speaks for us. Ironically, it’s probably most easily experienced on YouTube now. Art remains relevant for a long time when it conveys timeless qualities. The fresco cycles of Giotto, and the pieta of Michaelangelo, remain important hundreds of years are their inception, and well into a largely atheistic age, because their emotional resonance, and exploration of the human psyche is something that still speaks the same language across generations and religions. Modernist masterworks by the likes of Mondrian, or Rothko, though focusing on purely formal qualities, can theoretically induce a sort of spiritual ascension, derived from the inherent values of the art, it’s geometry or brushstrokes. This, too, is quite timeless. Art that is driven primarily by technology tends not to be timeless. If digital art is to earn its place in the canon of art history, it will need to develop the same depth of expression found in its forebearers. But I’m not sure that’s what’s important to net artists at all. Perhaps transience is something to be embraced – making art to be enjoyed now, not by future historians, and art that is alive, and not in the museum/mausoleum. Art that has a lifespan, can only exist within the cultural context it was created, and then dies. Art that, for something artificial, is actually incredibly human, when you think about it. Images courtesy of Anthony Antonellis (gif 1 – CMY) and Nora O’Murchú (Tweak).